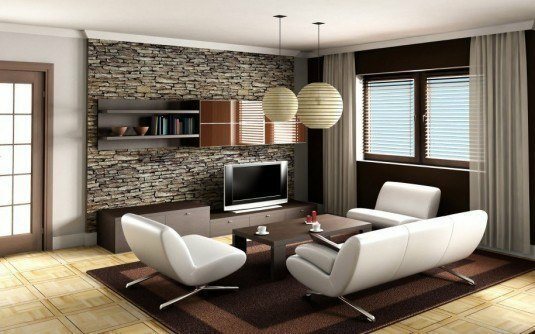 One of the easiest way to improve the interior decor of your kitchen, living room, dinning room and bathroom is through the use of natural materials, like stone. The stone with its texture and warmth will make your room space feel relaxed, warm and cozy. 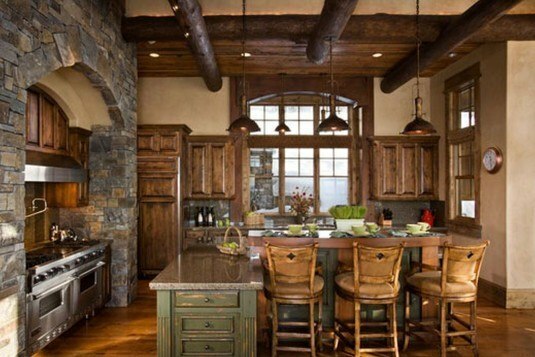 Depending of the stone used in the interior, your room can be in contemporary, rustic and traditional style. 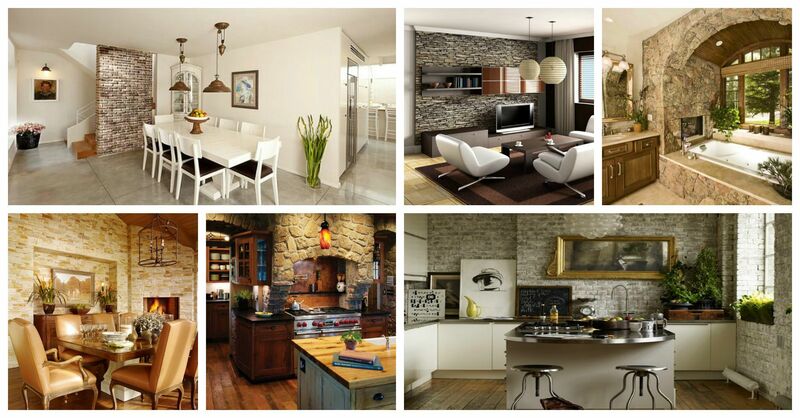 Let’s take a look at these Incredible Interior Stone Wall Ideas that I have selected for you. I really like the bathrooms that features stone walls, because the stone is eco-friendly and natural material that makes the bathroom more luxurious and modern. I need to mention that it is easy to find and long lasting too. 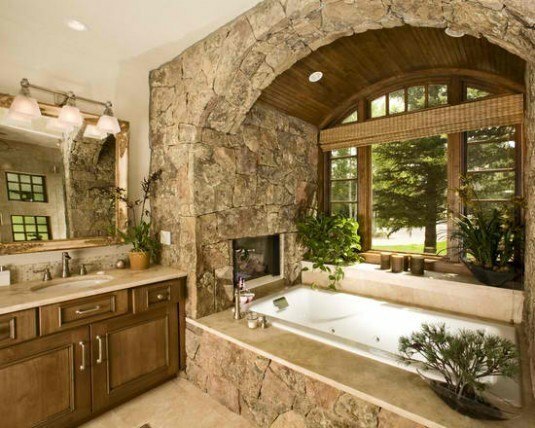 You can decorate the whole bathroom with stone or you can only decorate the walls or floor with stones. I have seen some bathrooms with washbasin and shower with stones. This kind of decoration will add elegance to your bathroom. 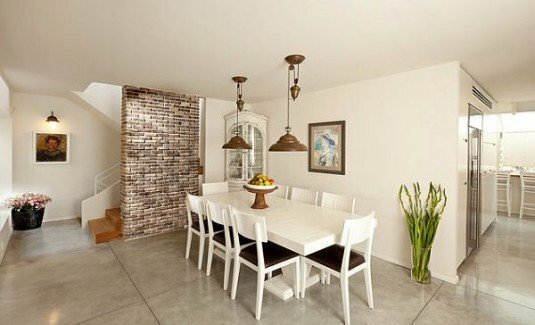 The stone wall ideas can be incorporated in the dining room too. I have selected some magnificent ideas that will take your breath away and will make you say wow. 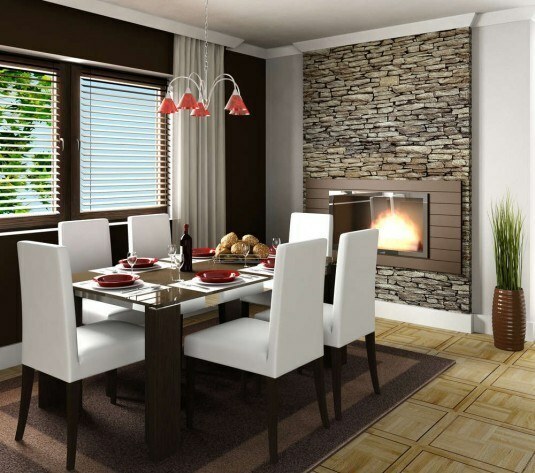 The stone walls can make your room warm and pleasant place where you can enjoy your meals. 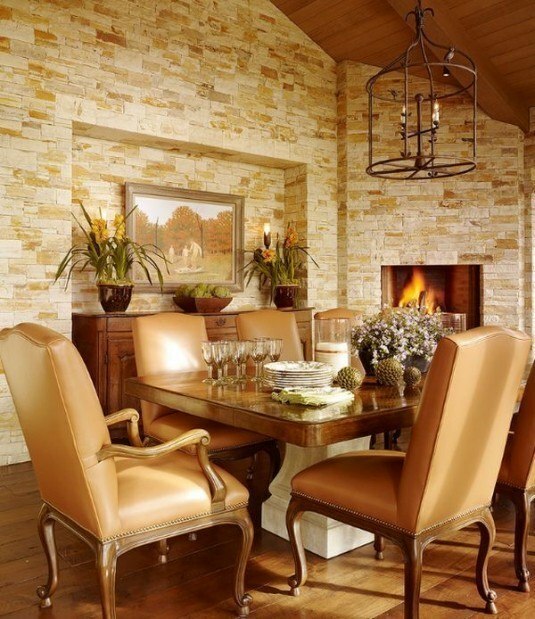 This is a perfect way to merge the traditional and rustic style to your dining room too, so if you are more classy person, think about a stone wall. Natural materials, like stone and wood are always a good option for creating a cozy and warm atmosphere in the living room. If you are renovating and you are searching for an alternative that will reflect a cheerful and breezy ambiance with bright and natural feel, then the wall stone is just for you. 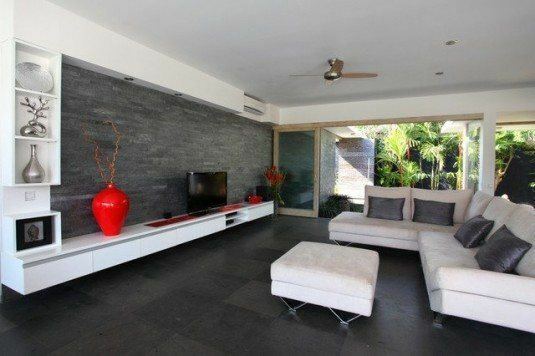 Natural wall stone is a great choice for every living room that will prevent the dull and cold appearance of the room. 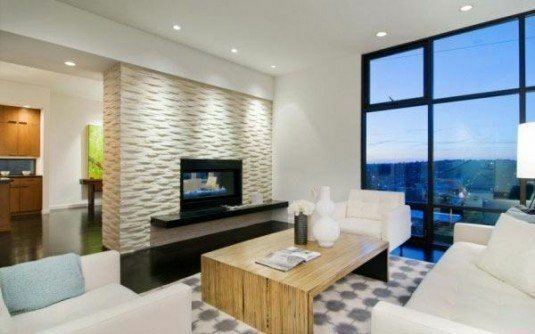 The white and concrete walls can create a gloomy and monotone atmosphere, therefore you can go with the stone wall and break the monotony and merge the nature in your living room. There are different types of wall stones available to us and we can find them in different shape, size and color. It is up to us which one we are going to use to embellish our kitchens. 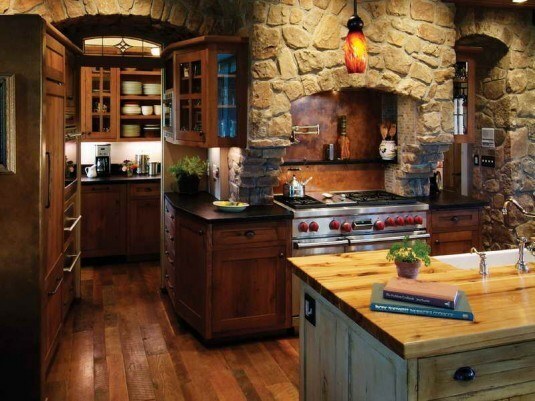 If you want to create a kitchen with a traditional and rustic appearance, then you should think about natural stone wall. 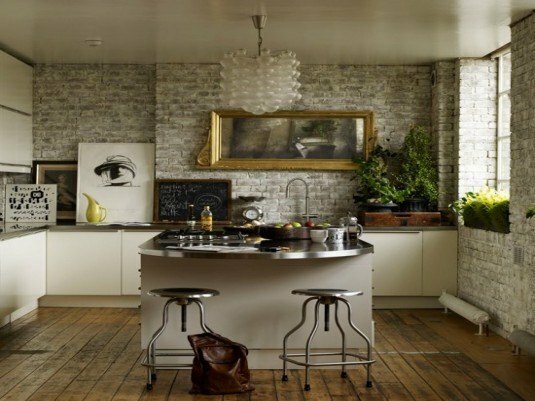 The stone wall will create a warm and cozy atmosphere and will enhance the aesthetics of your kitchen.